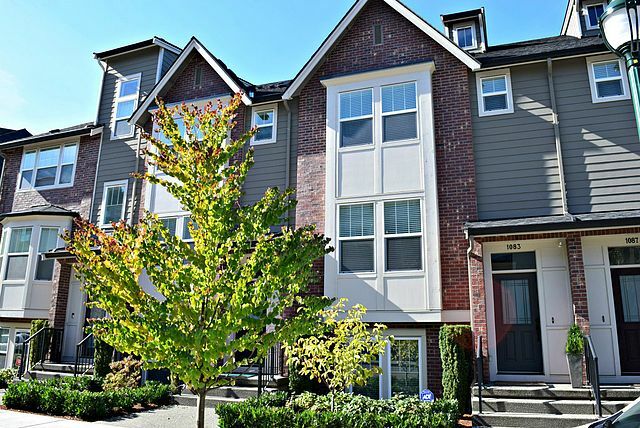 Welcome to the Brownstones in Issaquah Highlands. Like new San Francisco style townhouse with elegant features includes 4 bdrms, or 3 bdrm + den, 2.75 baths. Beautiful island kitchen w/slab granite & Stainless appliances, spacious master suite, hardwood floors, gas fireplace, AC, covered deck, great for entertaining. 2 car garage and Excellent Issaquah Schools. Easy I-90 access, walk to Grand Ridge Shopping Plaza, restaurants, movie theater and more!